Pricing on the two storage sizes is looking quite competitive. The white 16GB version is going for $299/€269 and the 64GB black model will be $349/€299. That's cheaper than the Nexus 5 at both price points, and double the storage at the top. And yes, there's no 32GB tier. However, note the lack of a microSD card slot. 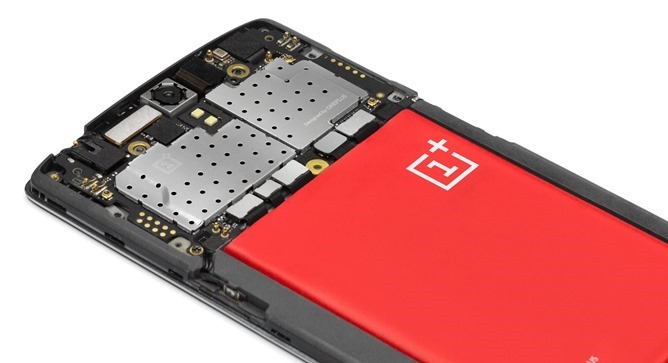 The non-removable battery also lacks wireless charging, and OnePlus says there won't be a way to add it. So, you're stuck with USB 2.0 charging. The mobile connectivity should support most GSM/LTE networks including T-Mobile and AT&T in the US, but no CDMA 3G or Verizon/Sprint LTE. The design of the device is a bit plain, but inoffensive. 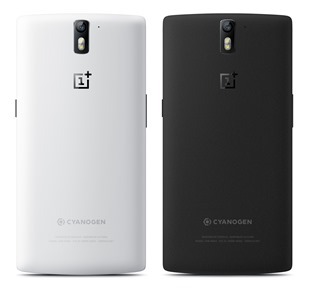 It looks a lot like any number of Oppo devices in recent years, though this one has that snazzy new Cyanogen logo. 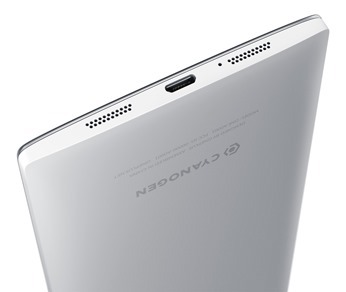 The buttons on the front of the device are capacitive, and that does appear to be a menu button. I can only assume there will be an option to use it as a recent apps trigger. You can turn off the capacitive buttons entirely and make them invisible, however, thus making the software buttons appear, but be prepared to have a larger chunk of unused space at the bottom of the device in that case. Note the press shots have the battery exposed only to show off the internals – the frame is sealed. We specifically asked about that. The back will have swappable "StyleSwap" plates (eventually) as previously announced, but the internals won't be accessible (think Moto G). Still, 3100mAh is a big cell – even bigger than the LG G2, which is much lauded for its longevity. On the topic of buttons, the custom build of CyanogenMod 11 (called 11S) includes an option to enable on-screen navigation buttons. That means you'll have some unneeded capacitive buttons, but at least you've got the choice. The new build of CyanogenMod also has the features you've come to expect including control of the theme (it's easy to use the standard CM look instead of the custom one seen here), SMS encryption, permission control, and a ton of customization options. It will have Google services built-in as well as updated CM Camera and Gallery apps. 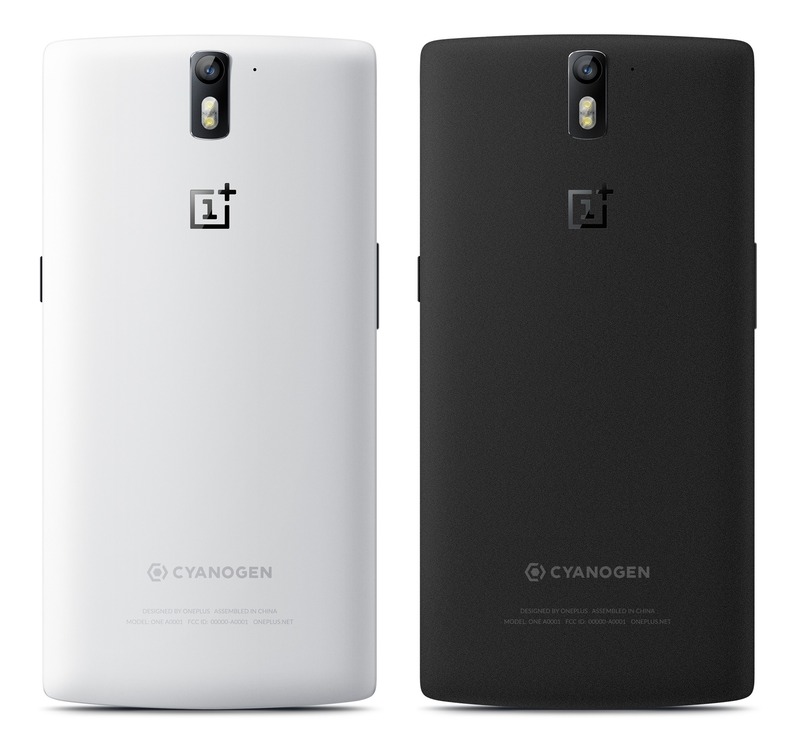 The device is designed to be open, so you'll be able to flash other ROMs and builds of CM to it, if that's your thing. 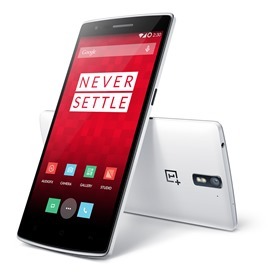 So the OnePlus One is being marketed as making no compromises (i.e. Never Settle), but there are a few. 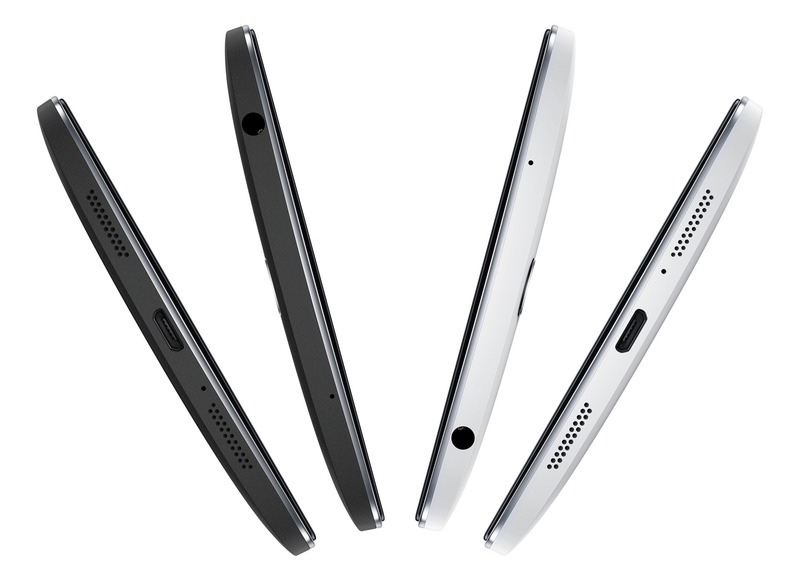 There's no microSD card slot, no wireless charging, and no removable battery. These might not be huge issues for everyone, and the price is pretty impressive. 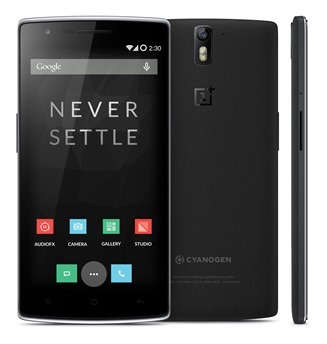 We'll have to wait and see if OnePlus has made any other sacrifices that aren't immediately apparent. 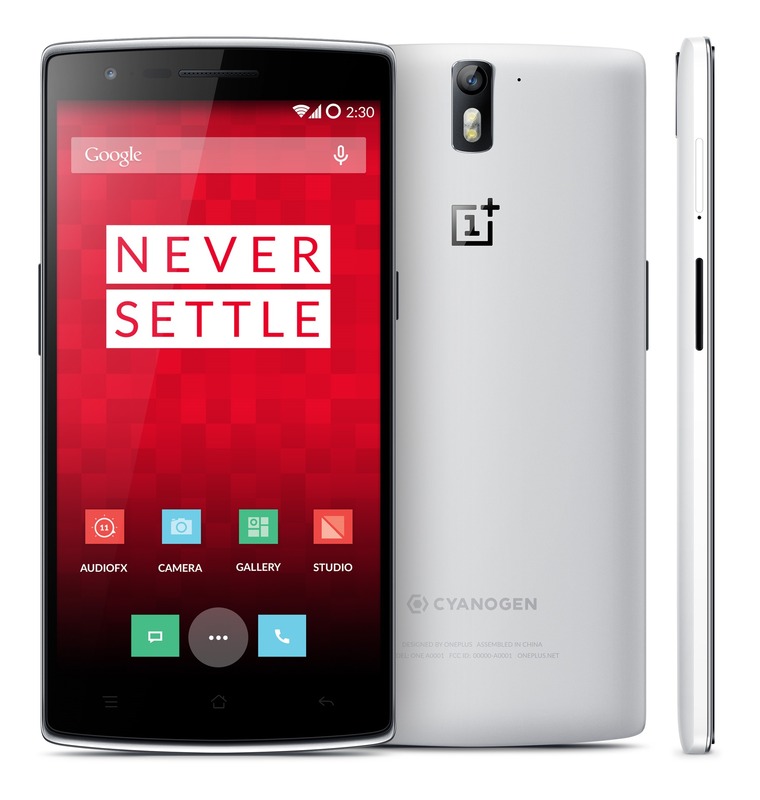 The OnePlus One might have a shot just on the basis of price. People put up with some of the Nexus program's shortcomings because the devices are cheap and have good software. CyanogenMod has a good reputation, but we don't yet know how well it'll work on this particular device. General availability will be in mid-May in Austria, Belgium, Denmark, Finland, France, Germany, Hong Kong, Italy, Netherlands, Portugal, Spain, Sweden, Taiwan, United Kingdom, and the United States. Availability might be limited in the early days, so you might be left waiting for a bit. Oh, and there's that ill-conceived phone smashing contest starting on April 25th. The company will allow 100 lucky winners to destroy their current device to get a free OnePlus One. Okay, guys.